We took the first step in February to make it all official and created a company. We went so far as to make a logo and business cards, so it’s all official now! A logo AND a business card?! We need to expand our operation, which means more land. We weren’t far from closing on 40 acres just down the road a few months ago, but the council got in the way. Now we’re looking at 100 to 150 acres a further 5 minutes out. That’ll have to wait until after we get married in April, after which I’ll be pursuing this quite hard. When that happens I’ll increase to at least a dozen sows and two boars, along with some free-ranged cows and maybe a small flock of sheep. In the meantime we’ll build a customer base and refine our breeding. 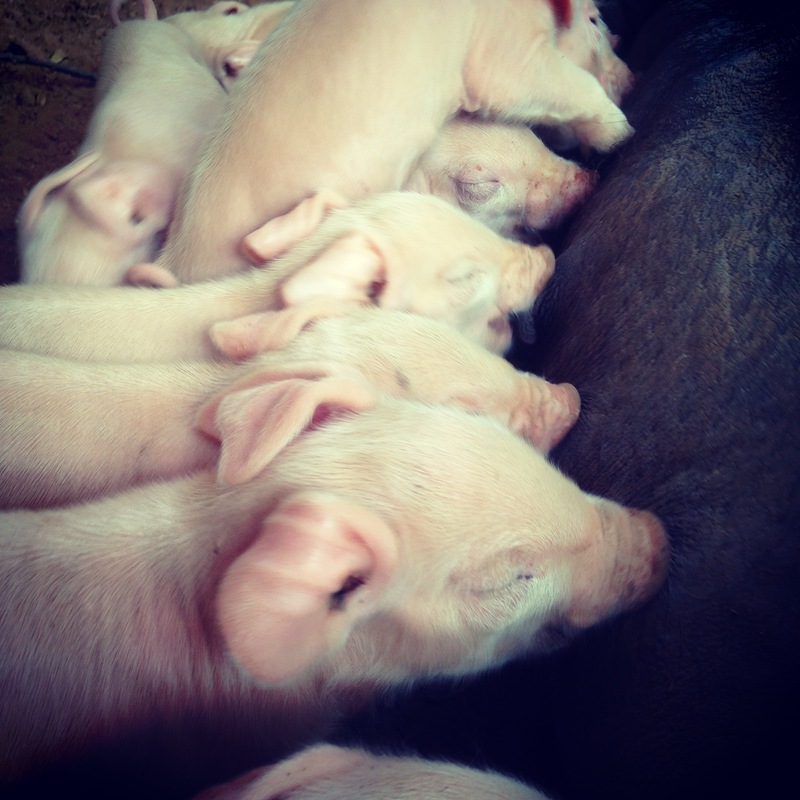 We’ll always have a couple of sows at our place, mainly to breed our replacement gilts, while the larger property will be where we breed the growers. It’s all planned out, mainly because I like plans and we have time before we get the bigger block. Visit our website for contact details and price lists etc. Also feel free to drop me a line or email or text or some other form of 21st century communication. I’m always happy to talk about pigs. You may have noticed that though. Pigs are amazing. 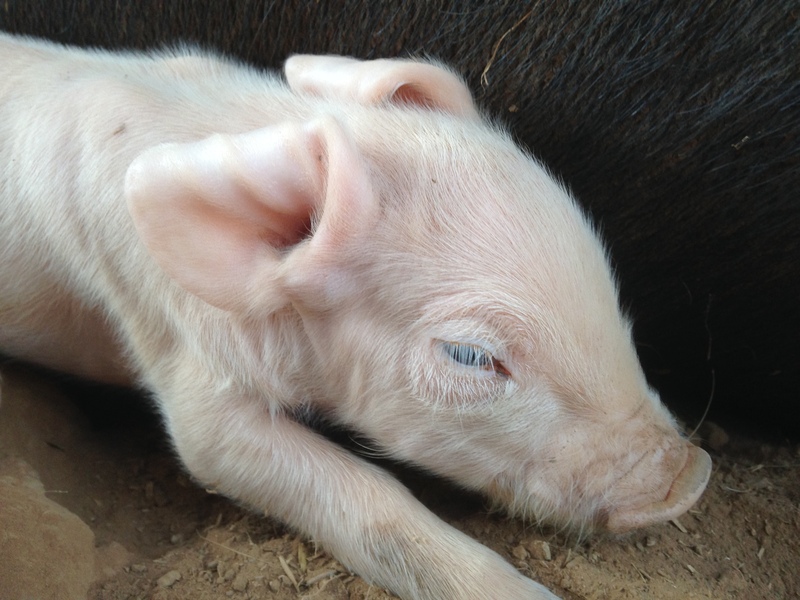 Clearly I’m about as biased as a person can be, but that statement can stand on its own: Pigs are amazing. They are friendly, gregarious, great parents, and they convert feed to meat more efficiently than any other animal. Those last two points are the reasons they are so mistreated in intensive farming situations, and the first two points are why it hurts them so much. All of those reasons together are why I want to do this for a living. 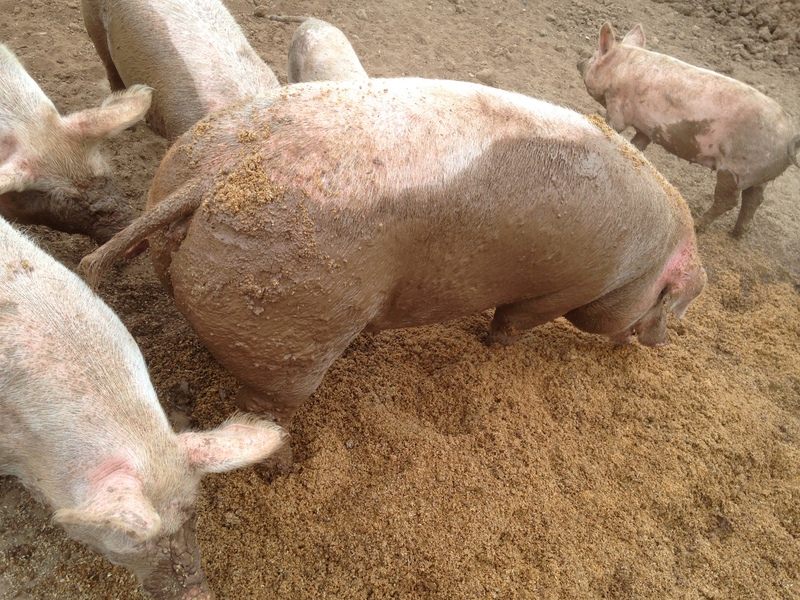 As efficiently as pigs convert feed to meat, they still eat a heap. They’ll eat quite literally anything, and they like to eat lots, and lots of it. That makes them expensive to keep, and that’s not even counting the extra strong fencing and housing they need. 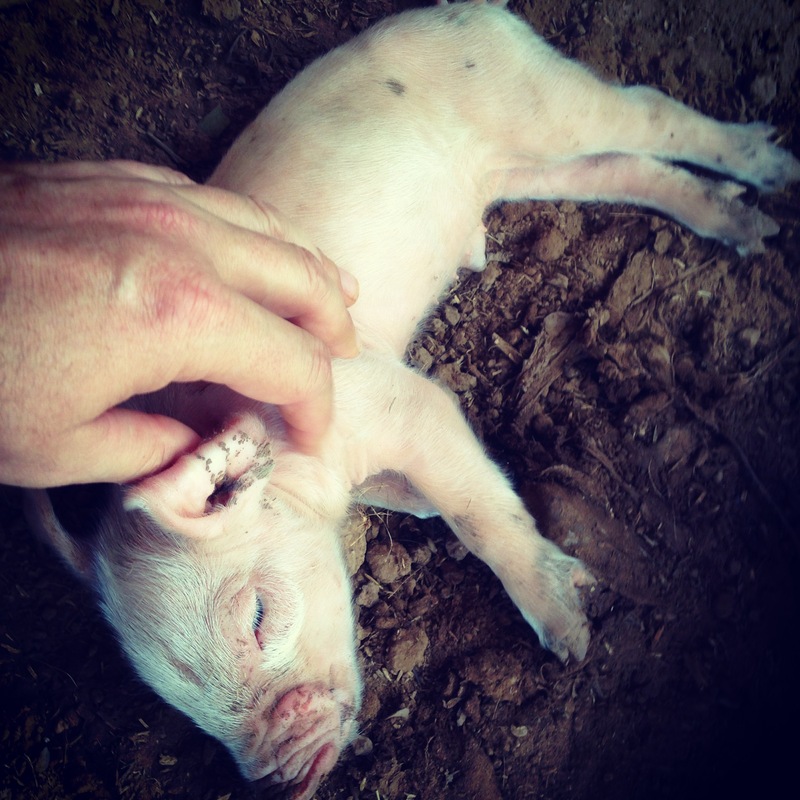 I went and checked out a local intensive pig farm that’s on the market, and had a long, long conversation with the owner about husbandry and feed etc. Half of his total outlay for the year is feed. Granted they use highly processed and expensive feed, but it’s still a huge cost if you’re keeping pigs. With that in mind, we’re always looking for ways to find good cheap food for our herd. There’s no way we’ll skimp on quality or nutrition, but cheaper is clearly always an aim. We buy a majority of our food from the farmers around us, with Farmer John making the introductions and often cluing us into what’s available. We get screenings or mixed feed that’s been left out in bags, and we get it relatively cheap. 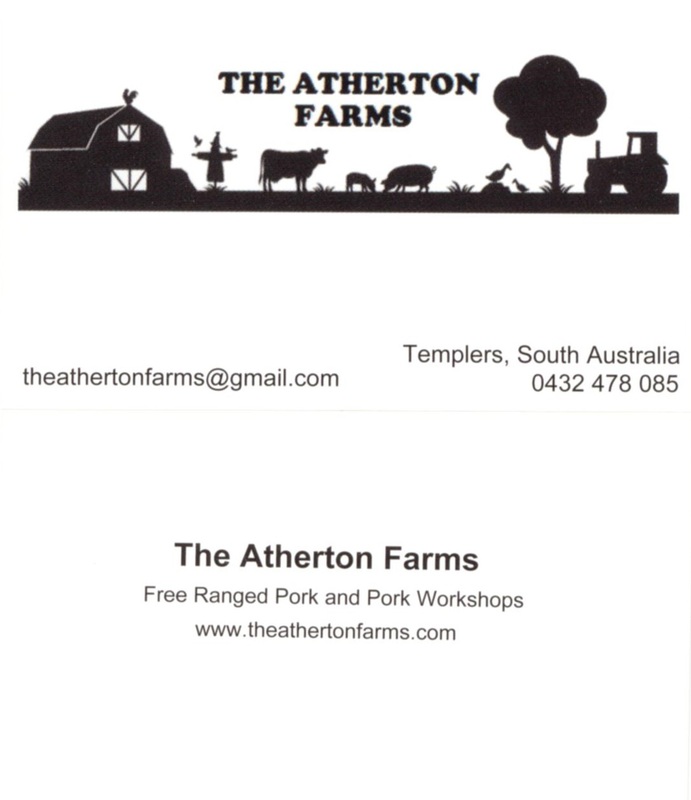 Where other pig farmers are spending $500 or more a tonne for food, we get ours much cheaper. Not only that, it’s all grown in the paddocks around us, some of it within sight of our home, meaning the carbon footprint is much smaller. 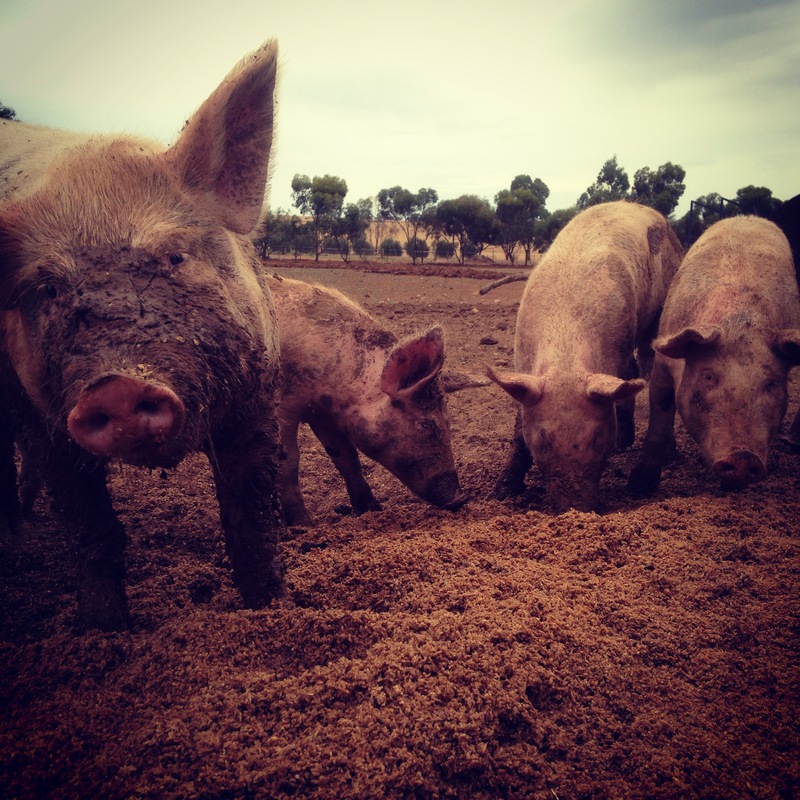 We’re still working on the best food combinations for the different kinds of pigs (e.g. 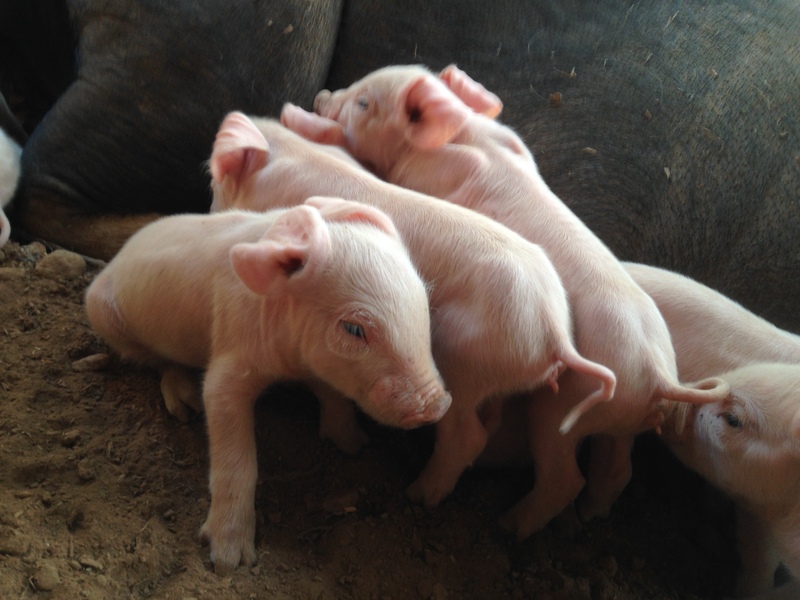 piglets, weaners, lactating sows, growers etc. ), and will end up with probably 4 or 5 different regimes. We’re lucky enough to collect the left over bread from a local-ish bakery every Sunday. A local church collects it the other 6 days of the week, but ironically on Sunday they can’t take it so we do. Bread is by no means a good balanced diet for any animals, but as something extra and a supplement it’s awesome. More than that, it’s literally just thrown into a skip if we don’t get it, and I’d go pick it up to save that waste if for no other reason. We also get a fair bit of waste from the green grocer where my daughter’s boyfriend works. That probably isn’t enough to make a difference to the feed bill, but it’s great for the pigs and is thrown in a skip otherwise. Our biggest win in this context, however, is spent brewer’s grain. 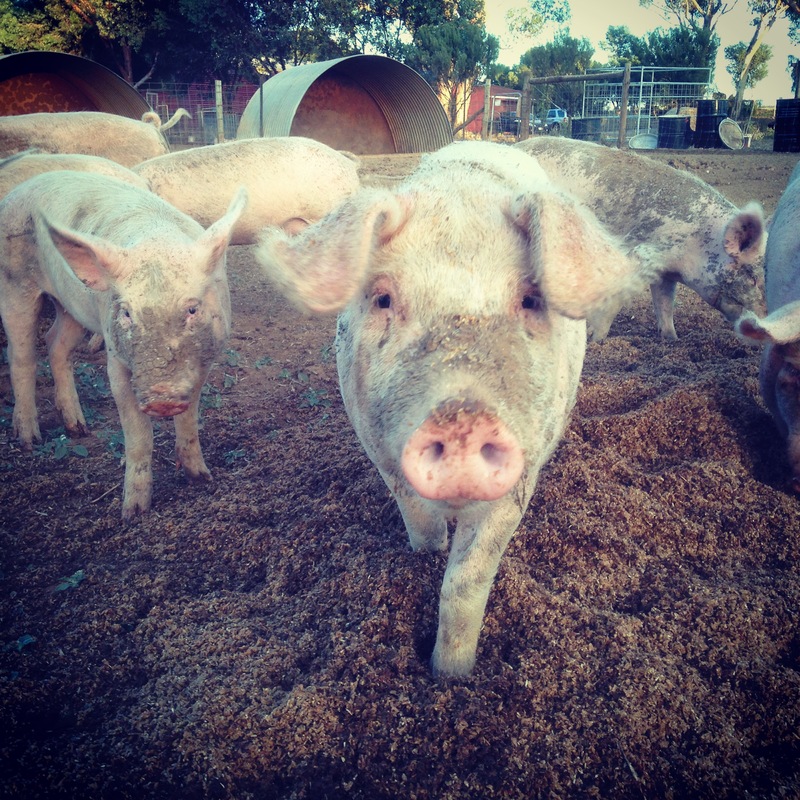 We visited an Ethicurean pig farm in Victoria a while back where half of their feed comes from a local brewery, and we’ve been on the lookout for something similar ever since. The spent mash is basically just boiled barley, and our pigs are used to eating soaked grains. Not only that, this is another waste product that would otherwise go to landfill. We were lucky enough to find Pirate Life Brewing via the daughter of a friend of dads. These guys recently started brewing in Adelaide, having moved from Perth. We actually found them just before their first brew, so we’ve been able to get every bit of their spent mash. The first week was lots more than we’d normally expect, as they were ramping up. We were expecting maybe a tonne, but ended up with around 5 tonnes. Still, we are keen for this not to go to waste and we’re equally keen to get good quality free food, so we took every bit. We fed it out to our pigs in large quantities, we found that our cows also love it, and the spare grain went to Farmer John’s cows. Ziggy Pig loves the brewer’s grain. All of the research I read said that spent brewer’s grain is great as stock feed, but you shouldn’t feed it to them as more than 50% of their diet. It’s high in protein and fiber, but relatively low in carbohydrates, which is not surprising as that’s the bit they use for the beer. It’s also not supposed to keep very well. From what I’ve read it only keeps 2 to 5 days in warm weather, and February in South Australia is much warmer than “warm weather”, and 5 to 7 days in cooler weather. Some of our pigs have definitely had more than 50% of their diet as spent grain for the last couple of weeks, as we’ve had so much of it. They also get the bread, greens, and soaked wheat, but the bulk of their food has certainly been the spent grain. The lactating females get a lot of other stuff, but the growers, not pregnant (unpregnant?) 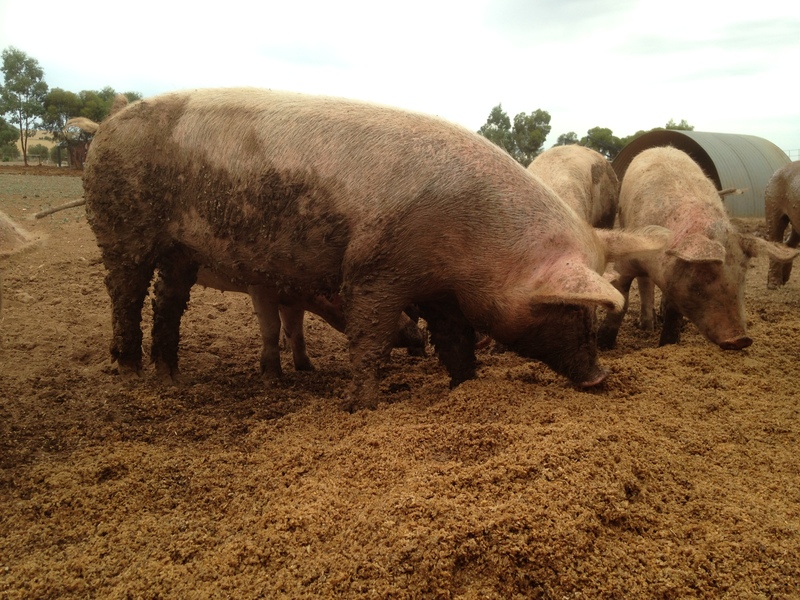 sows, and the boar have been eating lots of the waste grain, as have the cows. In future we’ll feed it out around 50/50, but right now we’re just throwing it at them, they love it, and they’ve certainly dropped no condition. It’s also keeping better than we expected. We’re keeping it in 44 gallon drums that are just in the sun, but we’ve had little mold. Anything that looks like it might be getting moldy gets thrown on the ground, but up to now I’d be surprised if we’ve had more than a couple of bucket loads like that. A huge majority of the grain has gone to the animals. Oh, and the poultry is always around to clean up any grain on the ground left behind by my clumsy shoveling. The pigs LOVE the brewer’s grain. It’s tough to forecast how much spent brewer’s grain we’ll be getting in the future, but we suspect at least a tonne a week. It could make up our entire feed ration if it was a bit better food nutritionally; however, we’ll be supplementing it with the grain we buy from the farmers around us.